French Guiana is located just north of the Equator, making its climate one that is tropical, hot, and humid all year round. The presence of the Intertropical Convergence Zone brings lots of heavy rainfall across the country, so do bring an umbrella, because, well, you never know! From December to June/July, most parts of French Guiana will be covered by heavy rain, while between August and November the eastern half of the country has its dry season which is usually a slightly warmer one. If your itinerary includes, St Laurent de Maroni, then know that this area has, typically, a tropical rainforest climate all year round. Even though there is a dry and rainy season, temperatures are generally high all year round with lowest temperatures above 20 °C (68 °F), while the hotter days can hit 29 °C (84 °F), and even 32 °C (90 °F) in September and October as these are the hottest months. Thunderstorms may also occur during the dry season. If you would like to begin creating your perfect French Guiana holiday, Simply complete the enquiry form to get in touch. Cayenne is the vibrant capital of French Guiana. it’s located on a former island at the mouth of the Cayenne River right on the Atlantic Ocean, this city, is filled with life and is a true meeting point of French, Asian, African, and Brazilian cultures. The result is a city as vibrant as its streets where beautiful lined up colonial homes exhibit beautiful shades of turquoise, pinks and yellows. But that isn’t all, in Cayenne you will find colourful and lively street markets with anything from African-style paintings, to Hmong handicrafts, exotic fruits, and spices galore; there are also several Creole, Brazilian, Chinese and French restaurants in the city; as well as stunning historic architecture that you can’t miss. Some of the spots you should include on your Cayenne itinerary are - ‘Avenue Général de Gaulle’ which is the main commercial street; Place des Palmistes and the Place de Grenoble (also known as the Place Léopold Héder); the ‘Hôtel de Ville’ which is the town hall and was built by Jesuits in the 1890s; Musée Départmental Franconie; the Fort Cépérou ruins which date back to the 17th century; Place du Coq; ‘Place Victor Schoelcher’ which was named in honour of the anti-slavery activist; Museo departamental Alexandre-Franconie; Cayenne Cathedral; the city’s botanical garden; as well as the Musée des Cultures Guyanaises (Museum of French Guianese Culture) to name only a few. Make sure to also try some ‘colombo’, a traditional and very popular dish in French Guiana that is strongly influenced by Indian cuisine and consists of pork stew prepared with vegetables and the mix of spices is very similar to those used for the preparation of curry. Delicious! Îles du Salut or, the Salvation Islands, are a group of volcanic islands that comprises three main islands -Royale Island, Saint-Joseph Island, and Diable Island (best known as the “Devil’s Island”) which was - and still is - an important part of history for its role as a penal colony between 1852 and 1953. One famous inmate was Frenchman Henri Charrière who was convicted of murder in 1931, for a crime he did not commit and was sentenced to life imprisonment at the penal colony on Devil's Island. After surviving 12 years in the most inhuman conditions, he finally fled the island and took refuge in Venezuela. In April of 1969 his autobiographical novel “Papillon” was first published followed by a movie interpretation (1973) starring famous Hollywood actor Steve McQueen. If you are wondering why Diable Island was used as a prison the answer is quite simple; its strategic location - 10 miles (15km) off the coast of mainland French Guiana - along with its shark-infested waters, and rocky shoreline made escaping the island pretty much impossible (unless you are Henri Charrière). Nowadays it’s all very different, and you can easily take a trip to the islands. 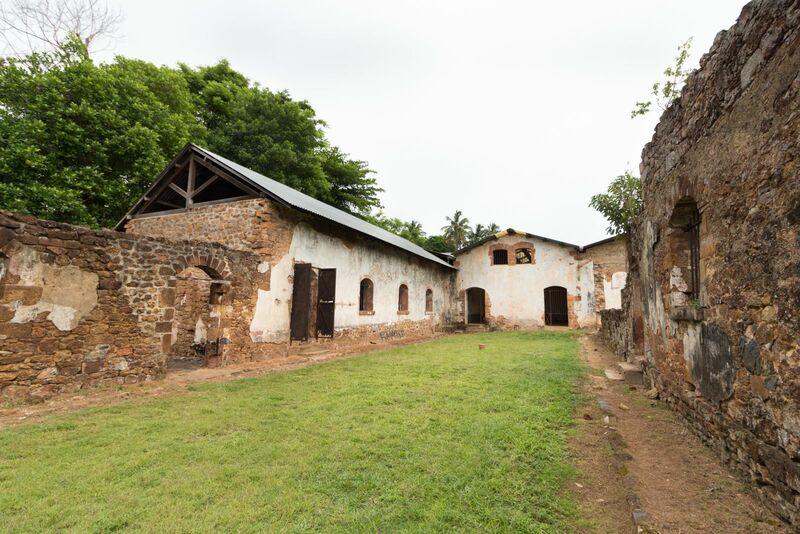 Île Royale is the largest of the three islands, and was the former administrative headquarters for the colony, while Île St Joseph, was reserved for solitary confinement for prisoners in the Devil's Island. Half day tours include; the cell blocks, the guard housing (now a restaurant) as well as the Director’s House. The islands have been made very ‘tourist-friendly’ and you can easily see it right from the first moment when you arrive there. The buildings have been converted into hotels or tourist facilities, and the harbour - where once prisoners where dropped off to stay on the island - is now a welcoming spot for cruise ships. There is also a gift shop on Diable Island where you can buy postcards stamped with "Devil's Island”. 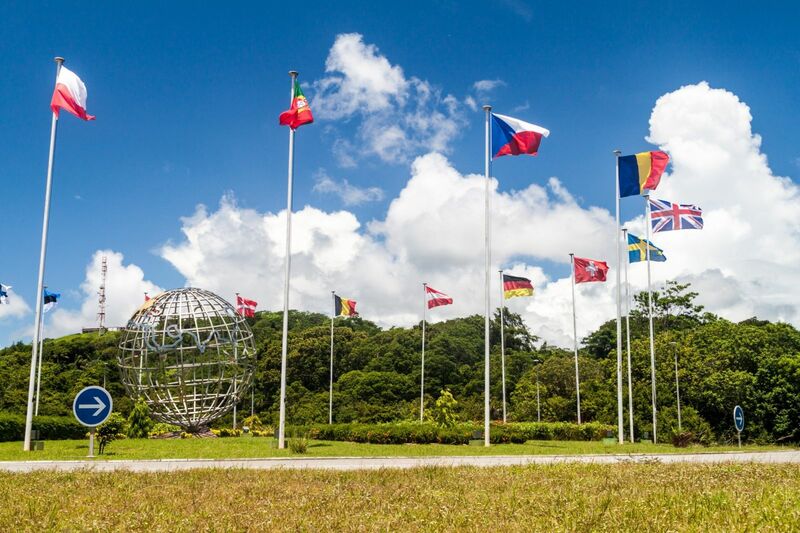 The Guiana Space Centre is another famous touristic attraction in French Guiana, we highly recommend you take the time to make sure that you can visit it, even if it is just for a little while. But, why build a space centre in French Guiana? The idea is actually not that far-fetched. The equatorial coast near Kourou is away from storm tracks and earthquake zones; has a low population density and by launching rockets eastwards over the Atlantic the rotation of the earth helps rockets enter orbit faster. When visiting the centre, you will have the opportunity to view a film about the history of the Space Centre, do a tour of the Jupiter Control Centre as well as the Ariane facilities. The space centre has a total of three different organisations working here - The European Space Agency, the French Space Agency, and finally, Arianespace, a private commercial company which was responsible for the development of the Ariane rocket. Of course, when speaking of a space centre we also need to speak about a space launch! Although not available to everyone as there are pre-determined dates for it, this is another great (and pretty unique) thing to do in French Guiana. The centre conducts up to nine space launches annually, and tourists can witness this spectacular moment from the jungle. Lastly, you can also visit the Space Museum, where you will be able to learn more about the history of space through seven themed modules. There are also audio-visual and slide presentations aiming to give you as much insight into space and the work done at the Centre as possible. 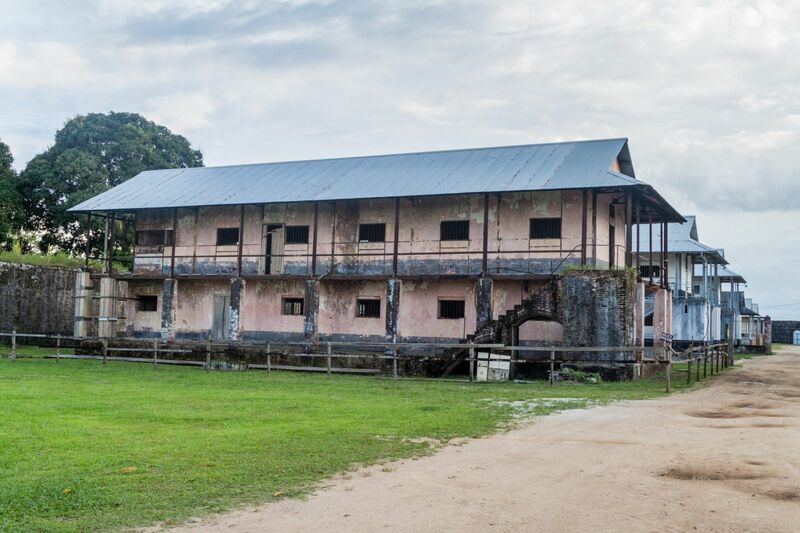 Located in St Laurent de Maroni - a border town in northwest French Guiana that sits on the Maroni River -‘Camp de la Transportation’ or, Transportation Camp, was a prison used between 1852 and 1953, that acted as the main penal establishment in French Guiana. Just like the Devil Island, the ruins of these prisons are one of the areas main touristic attractions with some of the buildings even having undergone restoration back in the early 1980s. It was in Camp de la Transportation that all prisoners arrived for processing, after which they would then be transferred to penal colonies throughout the territory. Just remember that these walls of history were the same ones where back then you could find famous inmates such as Alfred Dreyfus or Papillon. So, while you are there, don’t forget to look for Papillon's name engraved in one of the cells! Because of that (and more), when you first arrive at Camp de la Transportation it is impossible not to be influenced by the brutality of this place, especially, when knowing what it represents in our history. You can still see the rusty shackles and solitary confinement cells with tiny windows, and even though there is vegetation all around it - which has brought a different and softer light to this place - the awareness of past cruelty can still be felt. Nonetheless, this is a great place to visit, not only for its historic relevance, but also for its unique and impressive “decaying” aesthetic. Who would love to see some giant leatherback turtle hatchlings? Hates beach (or Plages les Hattes) is the perfect place to do it. Between April and July you can spot over 80 leatherbacks on the beach in one single night. Pretty impressive! Their eggs will hatch later on, sometime between July and September, and it’s one of the most heart-warming moments anyone can witness. If this is something you wouldn’t want to miss, make sure to book your trip in advance as this is also part of the peak season. There is also a small local museum nearby and many tourists opt to visit it the before heading down to the beach as the museum offers lots of insight about the turtles, making it a nice prep for what you will be seeing afterwards. Ilet la Mere is a deserted island about 30 minutes (by boat) from the marina at Dégrad des Cannes, just outside Cayenne. 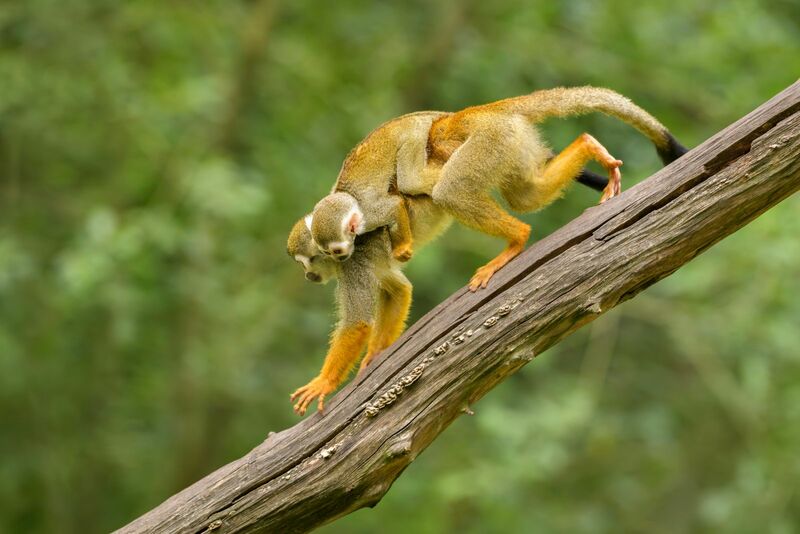 It is not only a lovely example of nature in its rawest form, but also home to one of French Guiana’s biggest attractions - monkeys. The best thing about the monkeys that inhabit Ilet la Mer, isn’t just that there are so many of them, but that they are very sociable and love to interact with humans. They aren’t afraid of us at all, so be prepared to have them jumping on your shoulders, fighting for your attention and rifling through your bags. It’s safe to say, by the end of the trip you will be all the best of friends! But even though monkeys may be the main attraction, they are not the only thing you can see around here. The island’s breathtaking landscapes are sure to conquer your heart - you can indulge in the forest’s natural wealth (which pretty much covers the entire island) and completely forget about everyday life as you unwind to the sounds of the wind rustling through the trees, or the birds singing. Still, contemplating nature’s beauty is not all that you can do on the island, besides having a photo with the monkeys, you can stroll along the walking trails which is the best way to view the island in more depth; you can sunbathe and swim on the small beach, or simply enjoy a picnic. Whatever the activity you decide to go for, Ilet la Mere is a must-do location for your French Guiana itinerary. Who doesn’t love going to a food market on holiday? They are the perfect place to really experience a new culture as you will be able to blend in with the locals and have the opportunity to see first-hand how everything is being done as well as how people interact with each other. When in French Guiana, the market you cannot miss is the ‘Cayenne's market’. 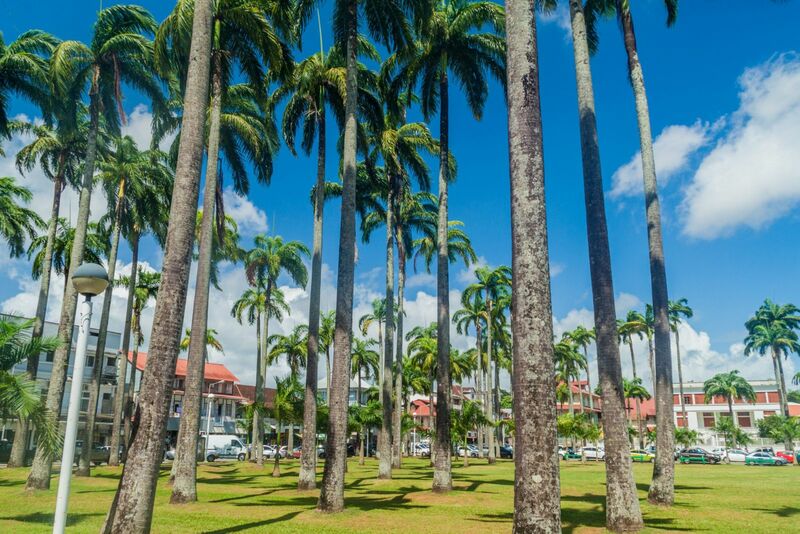 Located close to the Place des Palmistes (Cayenne’s symbolic square planted with giant palm trees), this market is famous all over French Guiana as one of the go to places for buying and selling fresh, local, produce. The market is located inside the large metal-framed hall (built in the early 20th Century) but is mostly recognisable for its explosion of colours, armour and flavours. 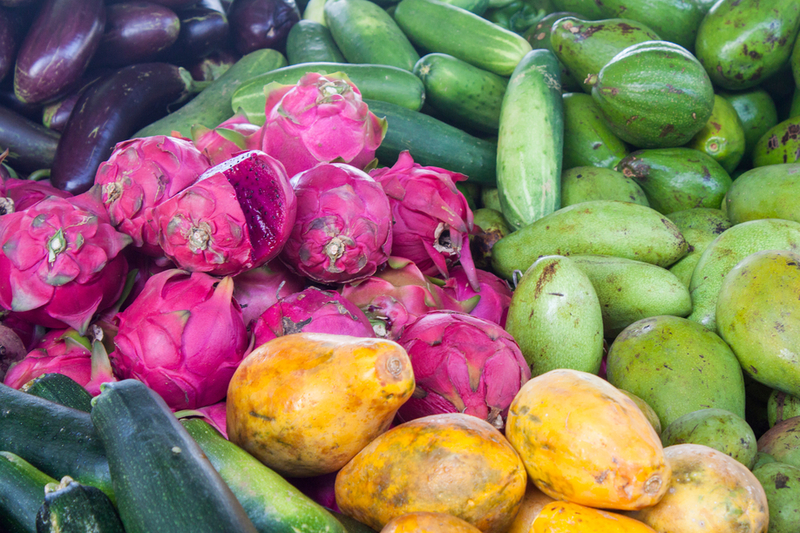 Coming here really is a treat to the senses as you will be able to see, smell, and taste, French Guiana’s best produce! There are several stalls on the market so don’t rush and take your time to visit each one of them. The stallholders are very friendly and as expected in this type of environment have the ‘gift of the gab’, and will try to persuade you to buy their exotic fruits, spices, vegetables and more. If you do feel tempted to buy anything be sure that all the produce is grown by the Hmong in the south-east and west of the country so that its quality is always at the highest standard. The market also includes a selection of local arts and crafts (such as objects made from exotic woods or braided necklaces) and there are also small restaurants at the end of the hall where you can also taste the local produce. Try the soups (like Vietnamese noodle soup) or the tropical fresh juices, they are simply delicious! 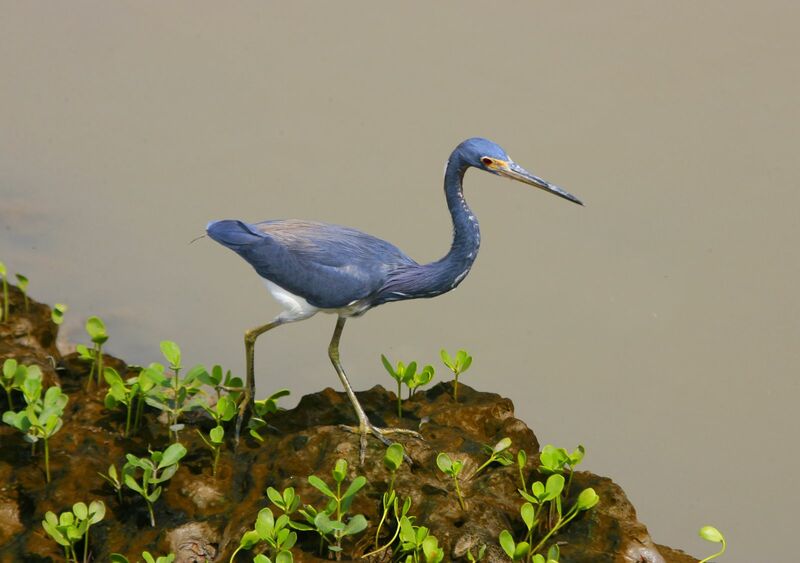 As a nature filled destination, French Guiana is a place where you have to take the time to be out in the nature. What’s the best way to do it? By going on a botanical trail experience, of course! Even though considered French Guiana’s smallest natural park, Réserve Naturelle Régionale Trésor is one of the most accessible ones and a definite ‘go to’ when it comes to doing a botanical trail. The park’s trail is 1.7km/1.5miles long and you will find clearly marked path winding through the entire forest to make your journey easier and giving you the chance to focus solely on the rich biodiversity present in the park. Make sure to get a few leaflets at the park’s entrance which will give you an insight on the flora and fauna you can spot along the route. Also, keep an eye out for the informative signs that you will find while doing your trail. Many will provide you with interesting information about individual plants, including how they can be used by humans. The park also features thematic guided tours several times a month about everything from medicinal plants, to night walks where you will be spotting bats. Although the park may be small, the wildlife is abundant featuring 1233 of French Guiana’s 5600 plant species, along with 56 species of fish, 78 amphibians, 49 reptiles, 327 birds, 60 bats, and 53 species of mammals. Obviously, you won’t be able to see them all while in the park, still, the plant life alone makes for a fascinating visit. Just imagine walking past towering jungle trees dripping with roots and vines. This is a place where the view is easily described in just one colour - green. Make it a Zoo day! Before venturing out into the wild, spending a few hours at the zoo can be a great way to get acquainted with the local wildlife. The ‘Zoo de Guyane’ is a great place to do this as this is a small zoo and the visit won’t take any longer than 2 to 3 hours. As most of the species living in this zoo are native to French Guiana you will be able to spot many that perhaps you wouldn’t in the wild. Plus, it is just great to have some extra insight into French Guiana’s biodiversity and be able to see a few of the species before going out on a trail, and seeing them in their natural habitat, this way, you will be able to recognise them much more rapidly. So what species can you expect to spot while at the zoo? Well, the list isn’t short as the zoo includes 450-plus animals with about 75 different species represented. The best part? All of the animals that live here have been rescued either from more dubious animal parks, private individuals, or were found injured and needed aiding. 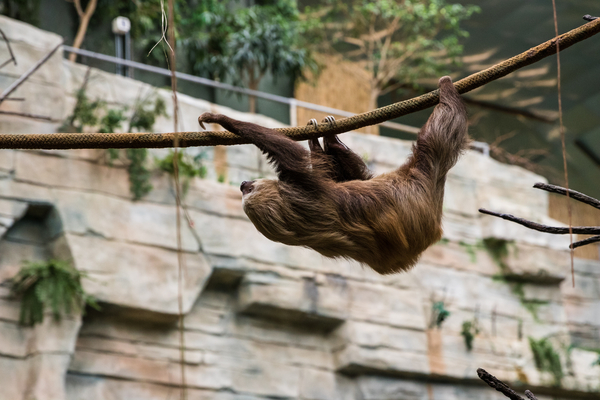 The zoo features an SOS Faune Sauvage program which aims not only rescue and rehabilitate the wild animals, but also to release them back into the wild. In fact, the zoo only keeps those individuals that are unable to care for themselves in the wild. Some of the species you will find here are - jaguars, margay, ocelots, sloths, agoutis, crocodiles, caiman, howler monkeys, spider monkeys, giant anteaters, bush Dogs, capybara, and a panoply of birds, like toucans and macaws. The zoo also offers naturalistic exhibits on a series of well-signposted trails through lush vegetation. - Everyone loves the treetop walk, strung through a canopy of native forest, and if you are with your children make sure to take them to the children's playground too. Last but not least, there is also the zoo’s gift shop where you can find a lovely selection of local handicrafts. For those who enjoy more adventurous oriented activities, another incredible way to view French Guiana’s wildlife and natural beauty is by going on a pirogue river trip. Just imagine yourself paddling along the jungle-fringed river in a traditional dugout canoe all the while getting a more immersive sense of the sights, smells and sounds of French Guiana’s impenetrable wilderness. Sounds good right? The entire pirogue river trip takes place right in the heart of the jungle you will not only see French Guiana’s incredible species in their natural habitat (which include animals such as capybara, caiman, and monkeys), but also the picturesque and remote villages in the area most of which belong to the Amerindians and Maroons. Other great river options for this type of activity are the Sinnamary River which is 163-miles long and even cuts through the Amazon rainforest. The water is peaceful and unspoiled as well as rich with life. The Oyapock river is another one to consider and known for being rich in mining history. 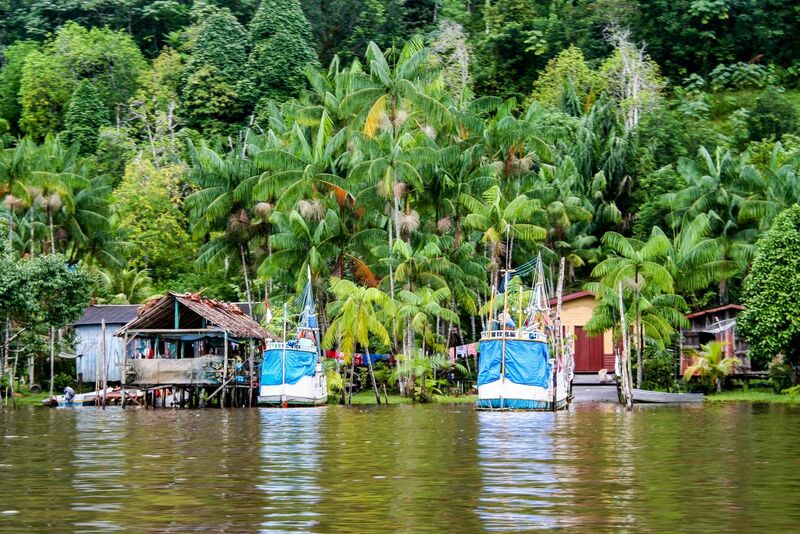 It obviously also filled with wilderness and is a great place to meet Amerindians and Brazilians who usually make their way home along the river banks. Finally there’s the Approuague River which is where you will find the highest rapids in French Guiana along with incredibly pristine forests. Holidays to French Guiana are usually more focused on the wildlife which means you will be spending a lot of time out in the parks, still this is not all you can do here and there will definitely be some time to get yourself a nice tan! 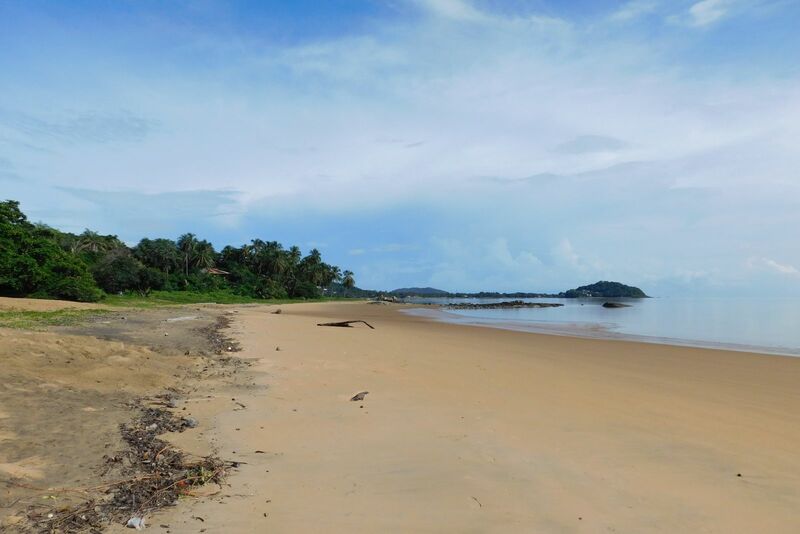 One of the most famous spots to do so is on Remire-Montjoly beach in Cayenne as you will see that here there’s the best stretch of sand and sea. Still be warned that all beaches in French Guiana are usually known for being wild, windswept affairs, and Remire-Montjoly beach is no different. This doesn’t mean you can’t enjoy a few hours on the beach, because you can. Even though it’s narrow, there is a strip of golden shoreline that is great for sunbathing. There are also palms and lush greenery around which fringe the sand, and provide nice patches of shade for when you need it. Even though the silty waters are not ideal for swimming, they are still good enough for a quick dip. Especially helpful if you are coming from a hike in the nearby nature reserve. 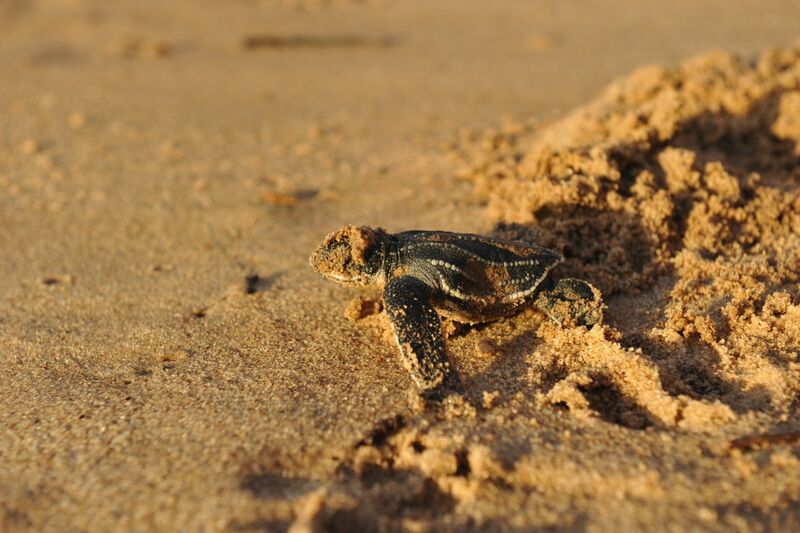 Plus, you might even spot sea turtles here during nesting season! French Guiana, or ‘Guyane’, is an equatorial South America department of France that shares borders with Brazil, Suriname, and the Atlantic Ocean. It is known for having a rich and beautiful ecosystem, and despite being one of the most pristine locations on earth, it is also a place where you can experience the unexpected and extraordinary like a space launch from the European Space Agency’s spaceport or the eerie, deserted penal colony on Devil’s Island. It is a land of cultural contrasts, diverse natural beauty and history, making it, ultimately, one of the most interesting places to visit in South America. Whether you spend your time in Cayenne (the capital); in one of the natural hotspots like the Réserve Naturelle Régionale Trésor; having fun with cute little monkeys at Ilet la Mere; paddling up the river in a pirogue dugout canoe, or indulging your senses at Cayenne's famous street market. - one thing is for certain- French Guiana will surprise you at every corner and make you fall in love with its lovely dual personality. One day you might spend exploring French Guiana’s tropical rainforest and spotting species like ocelots, sloths, agoutis, crocodiles, howler monkeys, spider monkeys, Bush Dogs, toucans and macaws. While on another you could be in Cayenne, experiencing the melting pot of French, Asian, African, and Brazilian cultures. If you visit during Carnival (which falls between Epiphany and Ash Wednesday), you can join in the celebrations which include beautiful parades every weekend. But there’s more to French Guiana than the beauty; the ruins of the 17th-century Fort Cépérou overlook Cayenne’s colourful Creole houses and street markets. The Transportation Camp takes you back to the period between 1852 - 1953 when prisoners arrived here for processing. They would then be transferred to penal colonies throughout the territory like the one at Devil’s Island. Not only that, but it was in these historic walls that infamous inmates like Alfred Dreyfus and Papillon stayed. There is even a cell with Papillon's name engraved! Plus, there is also the Space Centre which is the base of three different organisations including; the European Space Agency, the French Space Agency, and Arianespace which is a private commercial company responsible for the development of the Ariane rocket. The space centre does up to nine launches a year, and tourists can witness this spectacular moment from the jungle. Pretty incredible right? With abundant biodiversity - 5600 plant species, along with 56 species of fish, 78 amphibians, 49 reptiles, 327 birds, 60 bats, and 53 species of mammals - French Guiana efforts to preserve its ecosystems can easily be seen, eco-tourism is essential here. After all, no one would want to spoil French Guiana’s diverse wildlife, pristine Atlantic beaches, vast savanna stretches, lushly cloaked mountains, or the rivers that meander through the steamy jungles.